The Life Less Traveled is all about helping people get access to God. Sometimes our culture, the church and even well-meaning believers send confusing messages about who the Bible says God really is. The fact is that God is for us and wants to show up in the middle of the big and small moments of our everyday lives. He wants to reveal Himself and invite us into an adventure that we’ll never forget. The Life Less Traveled e-book is now available in the Barnes and Noble Nook Store. Check out a sample here. That means that not only can you enjoy it on a Nook e-reader, but on Nook apps available on most smart phones, tablets like the iPad and on your PC or Mac. 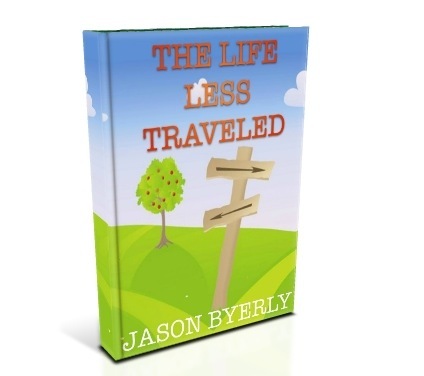 You can also get a sample of The Life Less Traveled from Amazon Kindle. Check out a Kindle sample here. This entry was posted in ebooks by jasonbyerly. Bookmark the permalink.